Tiger Muay Thai and Mixed Martial Arts training camp, phuket, Thailand welcomes Tommy Yang is currently 5-0 as a professional in MMA with his last win coming against DREAM FC Veteran David Gardner of Team Quest for the ESPN STAR Sports event showcased on ESPN STAR Sports. 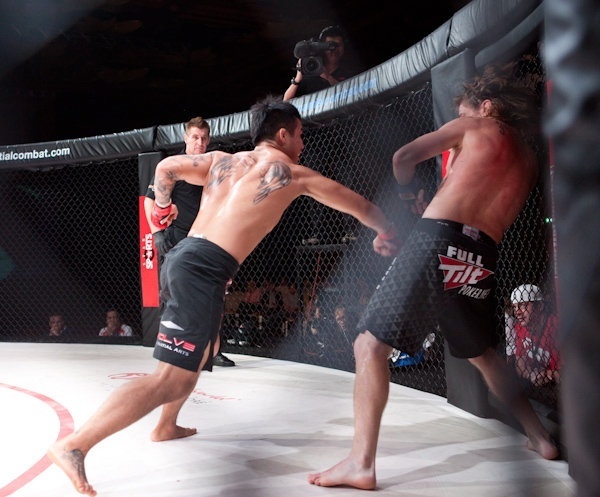 A talented fighter, Tommy was formerly a member of Singapore’s top MMA competition team as he represented Team Evolve. Looking for a change in opportunity, Tommy has relocated to Phuket Thailand and after a month audition at Tiger Muay Thai has joined the fight team. Look for Tommy to continue establishing himself as one of the top Lightweight fighters in Asia as he works in with Brazilian Jiu Jitsu Black Belt Ray Elbe and Wrestling coach JJ Ambrose. Already looking to get active, Tommy is currently scheduled for his first Muay Thai bout on the 14th of September, and is expected to be competing for the One Fighting Championship on their rumored December event.